The government on 22nd July has extended the deadline for all kinds of businesses to opt for composition scheme under the GST regime till August 16. A Statement by finance ministry said “With a view to ease the compliance burden of provisionally migrated small taxpayers opting to pay tax under the composition scheme, it has been decided to extend the time limit for filing intimation for composition levy up to August 16, 2017,”. Small businesses having their turnover of up to Rs 75 lakh were given time till July 21 earlier in order to opt for the scheme in the Goods and Services Tax regime. 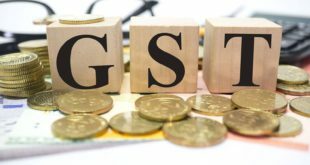 The finance ministry also said that the government is aware of the concerns of tax payers in India, especially those who are small taxpayers, those arising from transition to the GST regime w.e.f July 1, 2017. In order to opt for composition scheme, the taxpayer has to log into his account at the GST Portal www.gst.gov.in and select the option which says ‘Application to opt for the Composition Scheme’ under the ‘Services’ menu. The taxpayer has to fill up the Form GST CMP-01 to opt for the scheme. Under the composition scheme of GST regime, traders, manufacturers and restaurants can pay tax at 1 %, 2 % and 5 %, respectively. The ministry also said that the taxpayers who are willing to cancel their GST registration can do the same till September 30,2017. “Taxpayers who were provisionally migrated by virtue of being registered under the existing laws, but who are no longer required to be registered under GST, the period of applying for Cancellation of Registration is being extended up to September 30, 2017,” Ministry said. 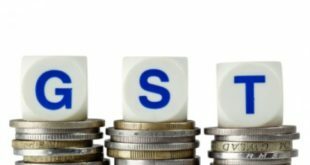 There are more than 70 lakh excise, VAT and service taxpayers who are said to have migrated to the GSTN portal in order to file returns in the GST regime which started from July 1. Besides, there are more than 8 lakh new taxpayers who are said to be registered on the portal. All these new registered taxpayers have the flexibility to opt for the composition scheme at the time of registration. Previous SBI’s Minimum Balance, ATM charges : All What you Need to Know!